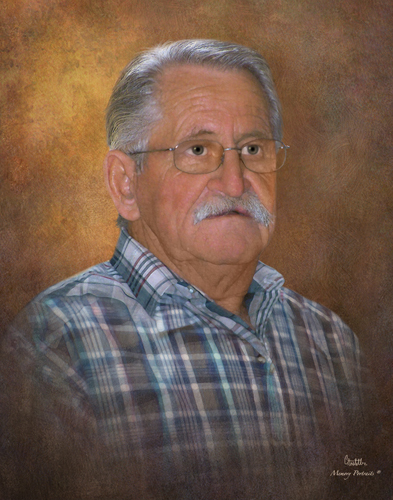 Royce Phillips passed away from this life in the early morning hours of January 28, 2019 at the age of 72 from heart failure at his home in Waxahachie, Texas. He was born May 16, 1946 in Italy, Texas. Royce was a simple man with the gift of gab. He was a hardworking man and would talk your ear off if given the chance. He loved scratch off lottery tickets and slot machines. Royce was preceded in death by his father Marion F. Phillips, mother Racheal O. Spann Phillips, Brothers M.F. Phillips Jr and Jessie Phillips and Sisters Evalyn Hocutt, Margaret Jenkins and Nina Moore. Royce is survived by his wife of 48 years Kathy, daughter Julie Phillips (Jacky Redford) who was the light of his life and his one and only granddaughter Jayci Redford whom he adored. Sisters Evie Allen (Roland) and Joyce Stewart as well as many nieces and nephews. Serving as pallbearers will be nephews David Hocutt, Billy Allen, Gary Moore, Jack Stewart, Rusty Allen and Forrest Swanson. Services celebrating Royce’s life will be held Thursday, January 31, 2019 at 2 o’clock in the afternoon in the Pat Boze Memorial Chapel at Wayne Boze Funeral Home. Friends and family are encouraged to gather for a time of visitation from 6 to 8 in the evening Wednesday, January 30, 2019 at Wayne Boze Funeral Home. Royce will be laid to rest at Gateway Memorial Park in Waxahachie following services Thursday.